Pizza sauce is a tomato semi-concentrate (brix 12/14) with peels and seeds, a great base for pizza, tasty and versatile. Meant for pizza professionals who want a product to dilute, sacrificing a bit of freshness. It combines a strong taste with high-level performance thanks to higher brix grade. 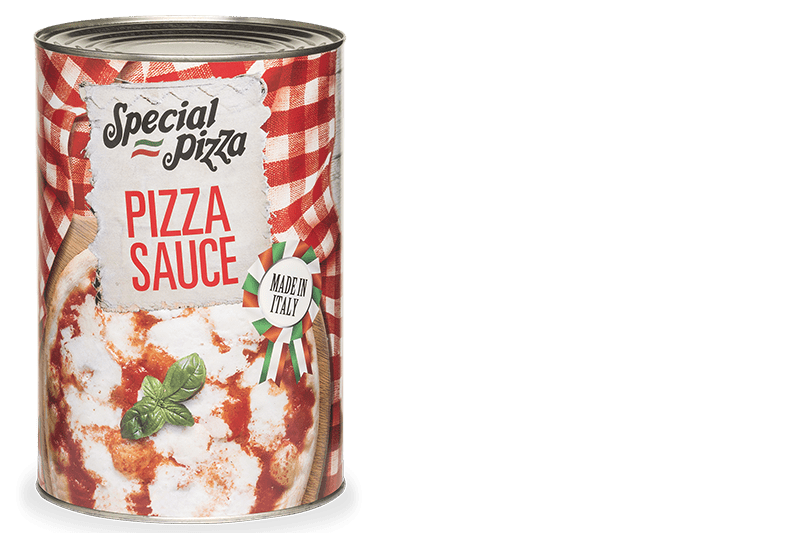 Plain Pizza Sauce allows to give customers a product according to their needs and the final recipe.